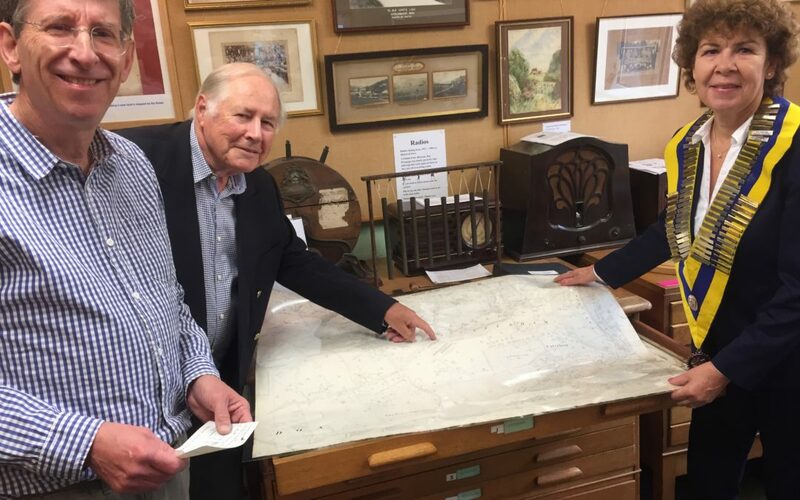 East Surrey Museum has an excellent collection of very large-scale maps covering most towns and villages in East Surrey. The maps are kept flat for storage and ease of reference and are very large. Recognising the value to the community Caterham Rotary has helped to fund the purchase of archival quality, polycarbonate transparent. map wallets to both preserve each map and also make them easily readable by visitors. The Museum is a small but highly attractive local history facility supporting the preservation and display of artefacts and documents relating to the social history, archaeology and geology of East Surrey from the earliest times to the more recent past. It is conveniently located in the centre of Caterham at 1, Stafford Road, a minute’s walk from the station and bus routes. A team of volunteers man the venue which is supported largely by public donations and a grant from Tandridge District Council. Adults and children will receive a warm welcome from the Curator Chris Taylor and his team of stewards, who will be happy to show you around, leave you to browse, or help with any particular enquiries you might have regarding local history.